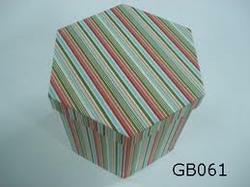 Leading Exporter of round gift boxes, rectangle gift jewelry boxes and hexagon gift boxes from Jaipur. 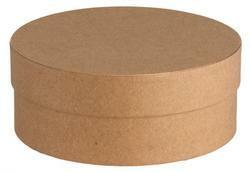 We are committed to offer our clients a wide collection of Round Gift Boxes. Manufactured using excellent quality paper, these products are in compliance with international quality standards. To cater to the diverse requirements of customers; we offer these boxes in variegated designs such as batik print, organic painting and more. With thorough industry knowledge, we are engaged in manufacturing, supplying and exporting a wide range of Rectangle Gift Jewelry Boxes. All these products are manufactured using optimum-grade handmade paper that is sourced from reliable vendors of market. These products are available in a spectrum of designs and patterns as per customers' requirements. 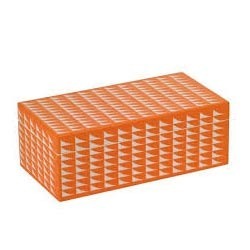 Offered by us is a wide and exclusive range of Hexagon Gift Boxes. Designed in accordance with the latest trends of the market and as per the convenience of the clients. Further, we make sure to examine the quality of the entire range before delivering these products to the clients end, in order to remove every sort of imperfection, if found any. Looking for Paper Gift Box ?